You’ve waited months and carefully nurtured your orchid. You protected your plant from the cold winter months and fertilized it with care. Like a proud parent, your excitement builds as the first spike begins to shoot out from the base of the plant. You pat yourself on the back when not just one bud forms, but multiple buds form along the spike. The anticipation builds only to end in disappointment as your tender buds shrivel before they reach maturity. 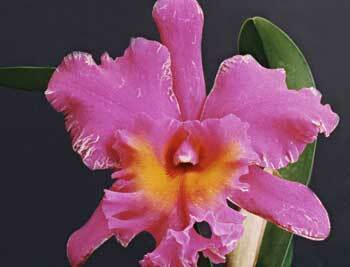 Sadly, this misfortune can occur with first time orchid owners as well as experienced collectors. 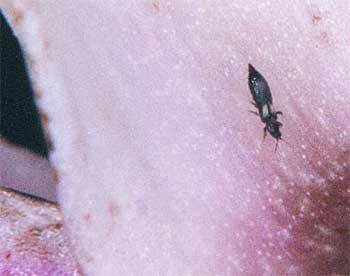 One likely culprit is a small insect called Thrips. 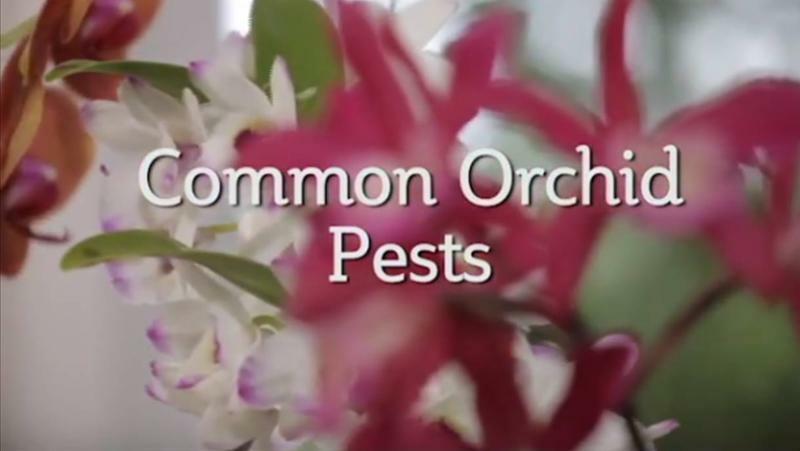 Thrips commonly attack buds and new growth on many types of orchids including Vandas, Dendrobiums, Cattleyas, Phalaenopsis and Epidendrums. Almost impossible to see with the naked eye, these tiny hemi-metabolic insects range in size from 1/16 to 3/8 inch and are characteristically cigar-shaped. They also attack many other types of plants including edibles such as beans, carrots, squash and other flowering plants like gladioli and roses. Despite their tiny size, thrips can ruin your flowering season. Thrips commonly feed in large groups. Most often, they attack buds and new growth, sucking the moisture out of these fragile parts. Blooms may shrivel and drop before opening. Flowers that make it to maturity may be spotted, streaked, shriveled or discolored. If you suspect you have thrips, try gently blowing into an open flower and look for tiny green or white insects. It is important to address thrips quickly. Besides damaging your buds and new growth, they may also help spread viruses throughout your collection due to their ability to quickly travel between plants. 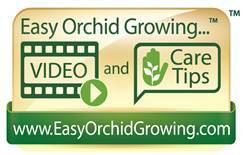 Hopefully these tips will keep thrips from ruining your current and future buds and flowers. 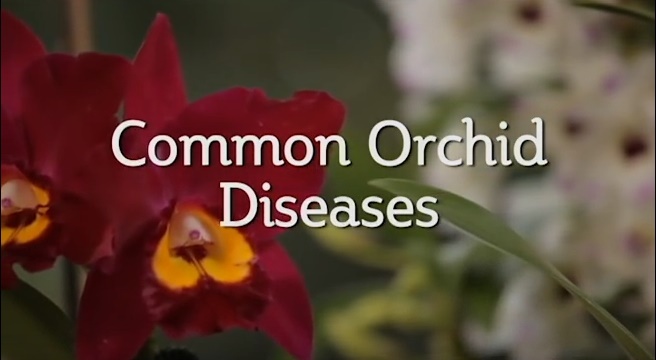 Disease problems do occasionally occur with orchids. Correctly identifying the source of the problem is key to understanding how to treat your orchids and eliminate the disease. 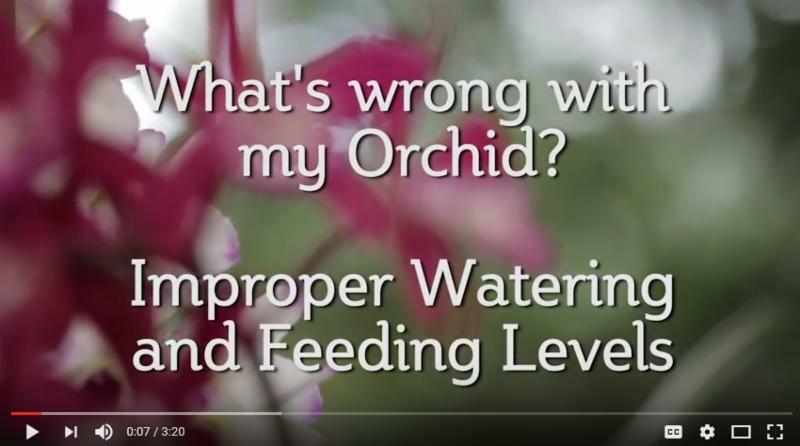 In this video, we’ll show you examples of disease problems with orchids and discuss how to remedy the most common problems.